Agency Ten22 recently caught up with John Lynn, health IT editor, blogger, and founder of Healthcare Scene and the Healthcare IT Marketing & PR Community (HITMC), to get his thoughts on the state of healthcare marketing. 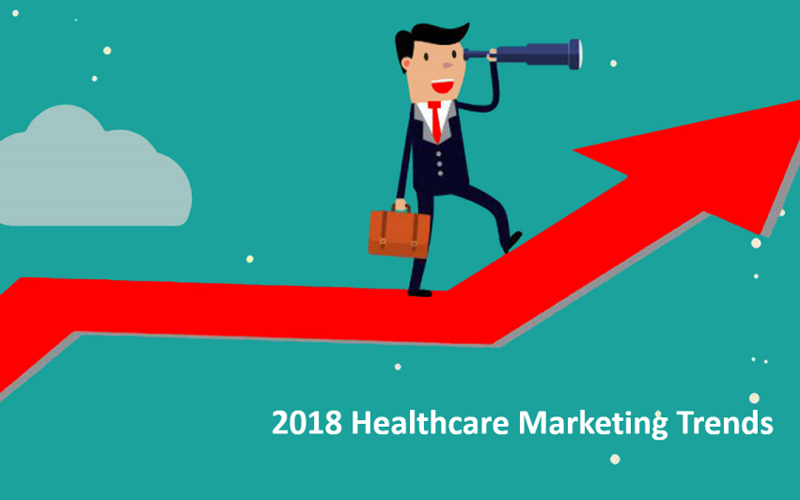 Here he offers insight into the unique challenges the healthcare marketing community faces, what resonates among healthcare readers, and trends the industry can anticipate in the years ahead. What makes healthcare B2B marketing unique? One thing that makes healthcare B2B marketing unique is that there are really no impulse buys. Buying in this market is usually a long process that includes a wide variety of stakeholders. You have to be patient and understand the buying cycle. You also have to influence multiple people to get the deal done. It’s rare that one person is the true decision maker, but it is common that multiple people can hijack the purchasing process if they’re not on board. The long and broad view is preferred for healthcare B2B marketing. In healthcare, purchase decisions often have life and death implications. Healthcare buyers don’t take the decision-making process lightly and they must deeply trust you as a vendor. If they don’t trust you, the deal will never happen. As part of earning that trust, you have to be really careful how you market in healthcare. Flamboyant marketing tactics that may work in other industries quickly kill your customer’s trust. If your marketing efforts are out of touch with the healthcare culture, then they’ll—fairly or unfairly—draw imaginary lines to your product being out of touch with healthcare too. What content types and topics do you find resonate most with readers in the provider setting? I don’t think the type of content matters as much as the way you distribute content to providers. I advise marketers to spend more time making sure you’re using a channel providers trust as opposed to the specific content type. With that said, providers are extremely busy. Create content that provides value as quickly as possible. Otherwise, they’ll move on to something else. If you can’t move one of these needles, the content is probably off target. As an editor, what stands out to you when you are considering content pitches? Pitches that are short and to the point with links to more resources stand out to me. Give me the gold up front and don’t try to explain what’s happening in the industry. Tell me something I don’t already know and you’ll always catch my attention. Send me something that’s unrelated to what I write about or has incorrect information and you’ll stand out in a bad way. What resources do you recommend to healthcare IT marketers and thought leaders (conferences, tweet chats, etc.)? There are a lot of amazing thought leaders in healthcare IT. I’d suggest marketers start with the #HIT100 list that has 100 different people in healthcare IT to follow on Twitter. The list is certainly not comprehensive given the multitude of amazing people that don’t make it onto the list each year. However, the list does offer a wide variety of people that are well worth a follow and are connected to some of the brightest minds in healthcare IT. For marketing professionals, I’m totally biased to the Health IT Marketing and PR Conference and #HITMC community since I organize it. We’ve created a unique environment for healthcare B2B marketers to connect and share ideas; where it’s ok to be human and show some of your “warts.” The HITMC community understands we all have our weaknesses and our strengths. We’re not afraid to share challenges and successes with others. Doing so allows us to help each other constantly grow. How do you see healthcare marketing evolving over the next five years? 5 years is a long horizon, but I think over time we’ll see a new focus on quality over quantity when it comes to content. That will be a big change for many organizations. I also think we’ll see improvements related to tracking results from our marketing efforts. The data that will be available to evaluate the success of various campaigns is going to get much better, and help organizations be more precise and personalized in their marketing approach.